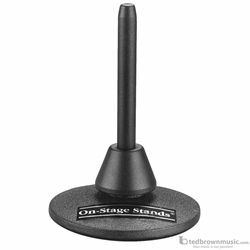 This basic stand features a clarinet or flute wooden peg that securely screws into the 6" weighted sand-cast metal base. Base includes three rubber feet for added stability. The size and shape fits most clarinet and flutes. Stand can be used as a floor or desk stand.